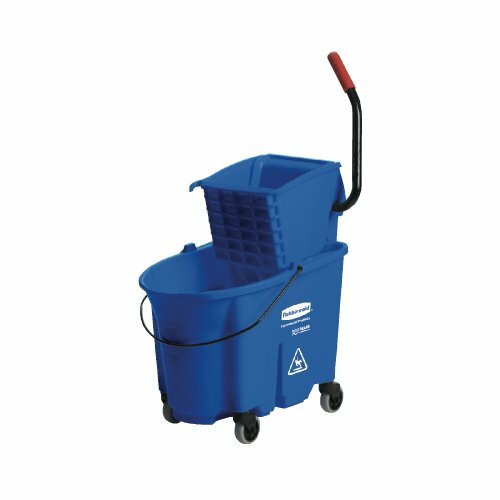 Color-coding allows you to assign a bucket and wringer combo to a specific area, making it easier for you to eliminate cross contamination. Unique bucket shape and interior wall design reduce splashing by up to 40%, resulting in improved workplace safety and enhanced productivity. Long-lasting side-press wringer operates smoothly for up to 50,000 cycles. Premium tubular steel and molded plastic construction ensures excellent longevity. May be used with 9C74 Dirty Water Bucket (sold separately). Color-coded to help eliminate cross contamination. Reduces splashing by up to 40%.